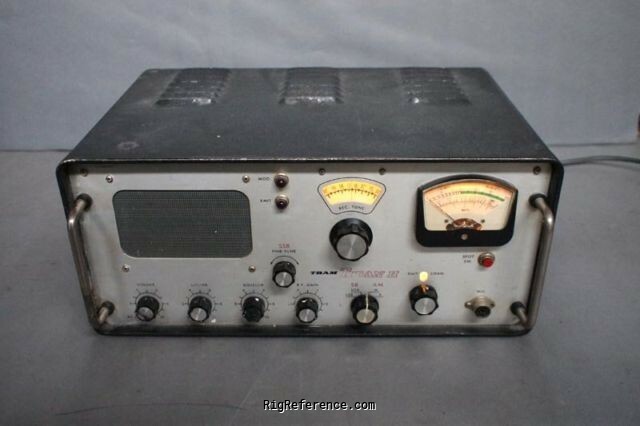 Vintage 23-channel CB transceiver made between 1967 and 1969 by the Tram Corporation, Winnisquam, N.H 03209. Special features include ± 1 kHz tuning of RX-frequencies and Double Side Band (DSB) operation. The set came with 23 crystals as stock. Estimating the value of a rig can be challenging. We collect prices paid by real hams over the years to help you estimate the current value of the Tram Titan II. Just bought or sold this model? Let us know what you traded it for and help other ham operators!